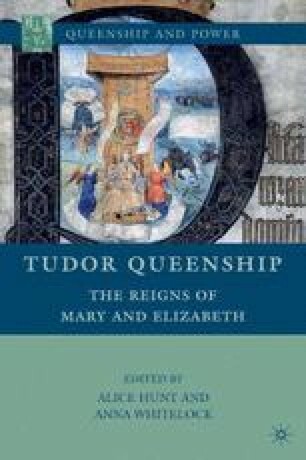 For many years Mary Tudor, England’s first queen regnant, has been perhaps the most reviled monarch in English history. She was the penultimate openly Catholic monarch to come to the English throne and has regularly been dismissed as having very little if any positive influence on the course of English history. Her negative impact on her realm, however, has been endlessly reiterated, although never quite to universal agreement. Nevertheless, her widespread reputation for bigotry, for her imputed “Spanish” and “bloody” characteristics, has been such that it might even be argued that J. E. Neale meant well enough when he distinguished between the Tudor sisters by describing Mary as representing the “old world” of Catholic and medieval values, and Elizabeth the “new” England.1 Many historians have shared much the same view, and until recently there has been little interest in Mary’s reign, let alone in any positive influence the first Tudor queen regnant might have had on the second.